The scene of the crime? 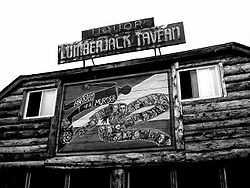 Lumber Jack Tavern. Where the story unfolds? Lake Superior Theatre. 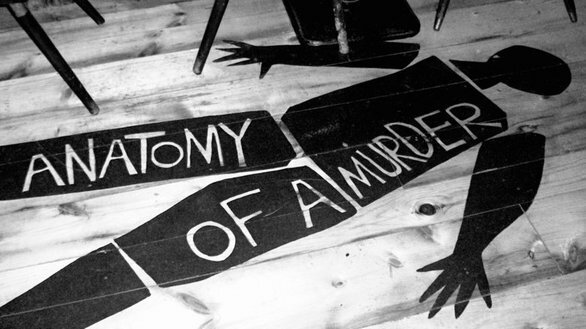 Directed by Northern Michigan favorite Shelly Russell, Anatomy Of A Murder is a classic courtroom drama. Does temporary insanity justify murder? And what really did occur in the darkness of the great north woods. Paul Biegler, a bright bachelor lawyer in Michigan’s Upper Peninsula, would rather be fishing4 than practicing law, but he will take the occasional client in order to pay his faithful secretary and other creditors. His best friend is an older alcoholic lawyer who has long ago given up trying to maintain a practice. 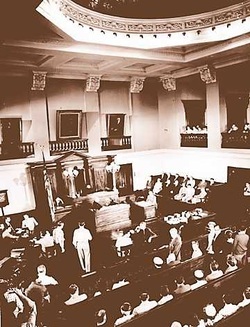 Judge Weaver becomes exasperated enough with Biegler’s antics to threaten him with contempt, but the defense attorney placates the judge with an apology and the disingenuous explanation that a simple country lawyer who is zealously trying to protect his client.bus keeping things under control. 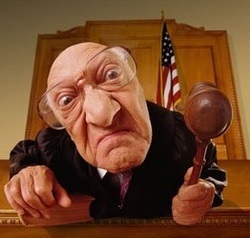 At times Judge Weaver becomes exasperated enough with Biegler’s antics to threaten him with contempt, but the defense attorney placates the judge with an apology and the disingenuous explanation that he is a simple country lawyer who is zealously trying to protect his client.